especially to bring encouragement, comfort and blessing to all that hear them. in the links on the top left of this page. Amanda's second Album released September 2010 ~~ Whichever way we turn God is speaking. The question is .... are we listening? 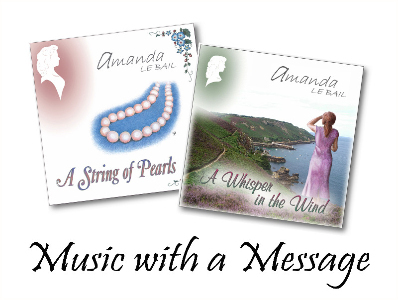 SPECIAL OFFER - Buy both albums at reduced price - Christian hymns and spiritual songs.